I’m a carnivore. I don’t own a pet. I’ve never had a calendar of kittens hanging from my wall. Why would a book called Eating Animals be the most influential book I’ve ever read? Why would I even read it? The answer is good writing. 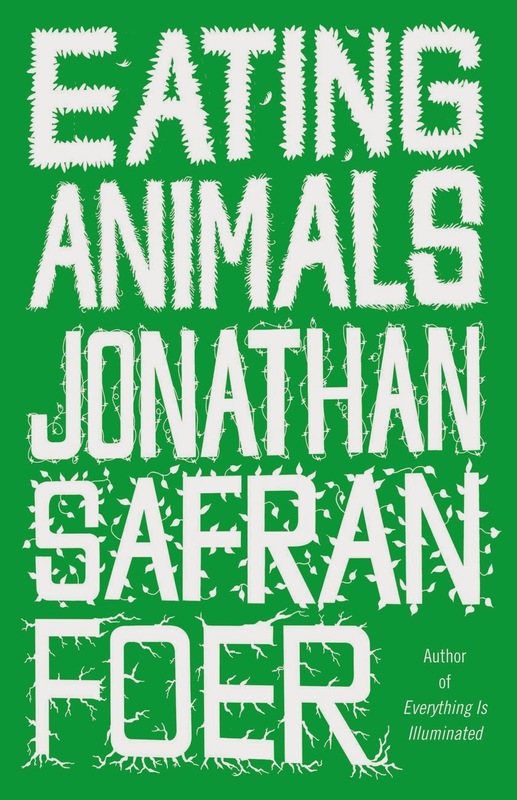 I enjoyed Everything is Illuminated and Extremely Loud and Incredibly Close by Jonathan Safran Foer. When you find a writer who can carry you solidly through a book, you stick with him despite the fact that you normally read fiction and Eating Animals is most definitely not. Eating Animals was written by a soon-to-be father fretting over the best way to raise his son. While considering what values to teach him, what food to feed him, Mr. Foer also wanted to be able to explain why it’s acceptable to eat pigs but not the family dog. So he started on a journey to answer the question; what does it mean to eat animals in America? The book starts by discussing the history of animal husbandry and the relationship traditional farmers had —the agreement to care and protect in return for food— with their livestock. The book then moves on to examine present day farming practices. Interviews and research collected from animal protection agencies, farmhands, factory workers, slaughterhouse owners, inspectors and scientists go on to detail the extreme violence animals are experiencing everyday as a result of factory farming—the primary source of meat in America’s grocery stores and restaurants. It’s sadistic, skin-cats-alive-and-throw-them-out-a-window kind of shocking and there are many factors contributing to it. Animals are being raised in buildings under tortuous conditions and employees are being forced to process them at rates exceeding their ability to do it humanely. The screaming, the trembling, the guilt and the stress is causing desensitization and psychopathic behaviour in the caregivers. Now before reading this book I assumed that yes, animals being raised and killed for meat is not entirely pleasant or perhaps necessary, but that government agencies must be monitoring the treatment of these animals…especially in rich countries. It turns out many countries including Canada are allowing farms to self-regulate and define conditions of cruelty and humane treatment. Auditing is done under appointments. I’ve been reading about the farming industry and I’ve learned that Switzerland has precise laws on how animals are raised, transported and slaughtered (‘strict’ with respect to European Union standards). In addition to government intervention there are animal protection agencies made up of farmers, engineers and vets, which will impose further requirements and random audits on farms that want a ‘Naturafarm’ or ‘TerraSuisse’ label on their products. The seal qualifies the farm to receive subsidies from the Swiss government, providing a financial incentive to treat animals well when there isn't a moral one. This helps our household change it's buying habits so that now we only purchase ethically farmed meat and fish from companies that have pledged to respect their livestock and the environment they live in. Because it's the most expensive meat on the shelves, we’re also eating less of it. Eventually I will have to stop eating meat in restaurants (especially outside of Switzerland) where I cannot be certain where it comes from. I will have to insist on vegetarian meals from my friends and family who do not have the same convictions. I’ll probably end up paying for turkey dinners. I’m ok with that. It would be a far-flung promise to say that I won’t eat meat ever. Perhaps this will change in the future but for now I’m going to concentrate on the promises I’ve made. Most influential book, ever. Thanks for sharing this influential book. You've made an awesome step in the right direction. Our family has gone whole grain, plant-strong for health reasons, but I am also horrified by the mistreatment of animals raised for the food industry. The more we are aware, the more likely we are to change and to demand change. I'm really impressed with your whole grain approach. You're way ahead of me! You'll get there, N. Baby steps!